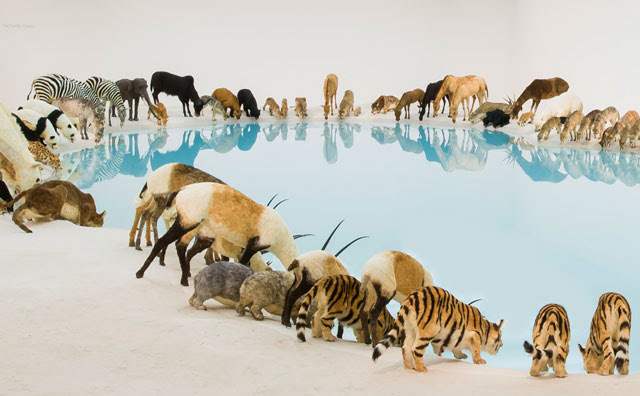 " Falling Back to Earth " is an installation involves 99 life-sized replicas of animals, water, sand and drip mechanism. It inspired by "Going Home". A poet written by Tao Yuanming, the Chinese poet of the Six Dynasties period. The scene references the lakes of moreton bay’s islands, which the artist visited in 2011. 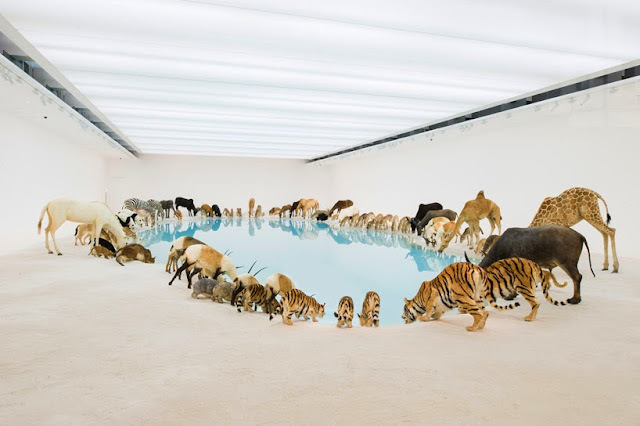 All animals are lowering their heads into the crystal blue lake, they stand on powder white sand and simulate a mass drink from the oblong reservoir filled with 170 tons of water.